The 11th edition of the Johnnie Walker Jazz Safari event slated for 30th June is right around the corner with ticket sales kicking off last Friday at selected selling points. 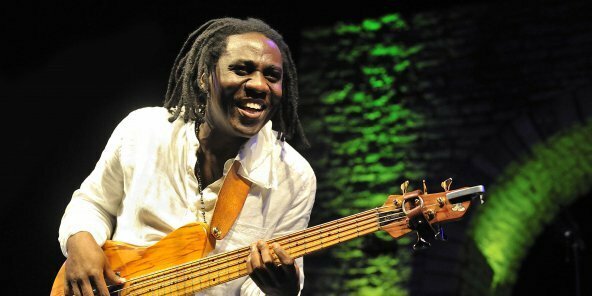 The Johnnie Walker sponsored event enters its second decade of existence with Grammy Award winning American jazz bassist Richard Bona headlining the concert live on stage at the Speke Resort Munyonyo, Lakeside. With over three weeks to the event, Jazz lovers can hold on to their tickets like treasure by simply finding their way to Game Lugogo, Shoprite Acacia Mall and House of Walker (Kampala Sheraton Hotel) at Shs 130,000 for individuals while a tables of 10 is up for grabs at Shs3m. And with Jazz Safari, there is always a discount at Shs 100,000 which can be enjoyed if any other banks users purchase tickets using a Stanbic point of sale terminal (POS) at the mentioned locations. Jazz Safari founder, TShaka Mayanja has repeatedly praised Richard Bona, at one time saying. “With Bona performing you can be sure it is going to be absolutely riveting.” Other artists joining the jazz sensation on the same stage will be the cream of local jazz music, including names like Kaz Kasozi, BlackRoots UNLIMITED, Michael Kitanda, Tony Trumpeta and Aloysious Migadde.